There is a lot of choice when considering what technology to use when you build your website. Should you hire an agency to hand-code a bespoke site, or should you try and do it yourself with one of the many free website builders on the market? Online website builders have a number of differences and similarities. What they all have in common is a need to convert free users into premium users, and they all have offers and features that are worth paying for, if you want or need to use them. Where it was once the case that free website builders tended to be rather basic with enough functionality to get the job done, but unsuitable for those looking for more advanced options. 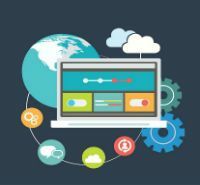 Now advancements in these platforms means its never been a better time to consider building your own website. 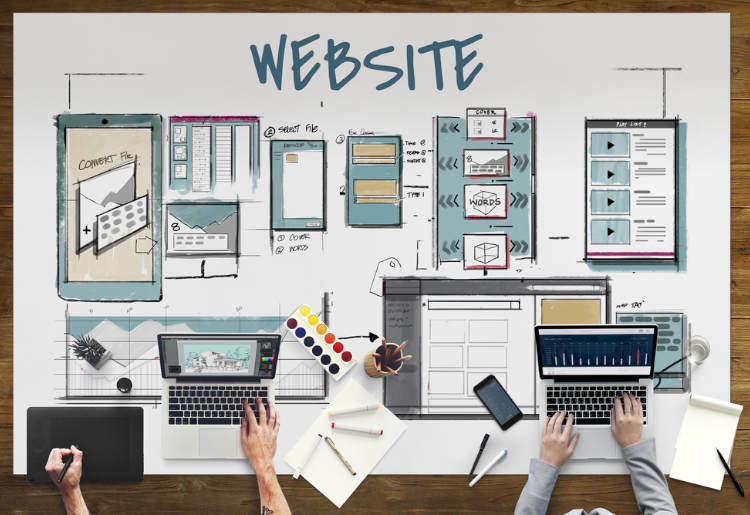 All these web building platforms, including Wix and Weebly offer a completely free entry point, but the tradeoff is that you have to accept certain limitations that free website builders put in place. Sure, you can still build a functional site without these some of the premium features on offer, but if you want to project a professional image, then a small investment each month is money well spent. Why Upgrade to a Paid Plan? When you upgrade from a free to a paid tier – you get access to additional perks, such as unlimited customization, domain hosting, custom URL registration, and more. Different companies offer different bonuses along with their services. Watch this video tutorial to paid vs free website builders, created by Top 10 Best Website Builders Expert Ryan Bowman. Wix is one of the most popular web builders out there. It’s growing every day and as 2015 came around, it was home to around 55 million users; the site is well loved. More importantly that that, it offers a wide range of features on both its free and paid options. With a free user account, Wix offers tons of templates to choose from. Once you've selected a template, you replace the text with your own. If you have a one-page site and just need to edit the template’s default text, you can be all-set in a couple of hours. It can be that quick! If you have a five page website, and have some of the content ready, you can customise a Wix site in as little as a few hours, but the more time you spend, the better it will be. You get access to the full editor on the Free version, allows you access to all its editing tools, and there are a lot of tools available, right out of the box. They offer a huge variety of tools such as slideshows, interactive galleries, animations, image editors, blog elements, and more. Wix evolves almost daily and has gained in popularity because of this. The only things that set the free apart from the paid option, is a small ad in the upper right hand corner and a small banner in the page footer that says ‘made using Wix.’ And the ability to use a custom URL. So, it’s a perfect playground to test out your ideas before you’re ready to pay just a few $ a month and remove the adverts. You don’t have to make the decision to upgrade right away, and you can just go month-to-month if that suits your needs best. With a paid account, Wix opens a few additional features. The user able to remove advertisements and they can customize their own domain name, as well as access more storage and bandwidth than free users can. This is a better option for users who intend to run ecommerce sites. 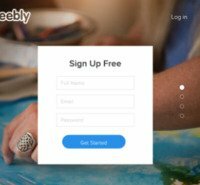 Weebly's free website builder option allows users to create unlimited pages, but only six can be displayed at any given time. They also provide free hosting. Weebly also offers numerous themes to choose from, all of which are divided into categories based on the type of website. Their paid options have varying ranges of benefits. At $4 per month, Weebly allows users to connect their site to their own domain and to remove the branding from the site, in addition to premium support from a specialist team. The $8 per month option adds more multimedia features and a site search function. And finally, the business version, at $25 per month, offers everything you could think of. 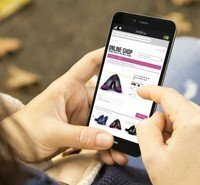 It's the full package – ecommerce and every other possible feature. The Weebly editor is nice and neat. It offers the standard set of tools for a do-it-yourself site. Experienced designers will find out its limitations pretty quickly, but as long as you’re happy to find workarounds, Weebly does just fine. You can edit footer and header code, and that can come in handy for things like analytics plugins and 3rd party integrations. Another cool feature of Weebly , is the ability to work on what they call their ‘Designer platform’. The Designer Platform is a white label solution for designers to easily build websites for clients using Weebly 's CMS. Your clients can update their own sites through a portal branded with your company's colours and logo. Additionally, you can add and edit the HTML and CSS, if you know what you’re doing, you can make add kinds of beautiful animations and more – but it’s also easier to break, so be wary of using this feature unless you have expert skills. Should You Choose Paid or Free Website Builders? These two website builders are examples of the differences between free vs. paid versions of top website builders. While many goals of website owners can be met with the free option, people who want to generate revenue through their site and present established businesses would be better off investing in a paid option. There are a number of free website builders out there, and many of them have additional paid options that users can employ in order to enhance their pages. On the other hand, there are website builders which require payment each month, but the additional benefit they provide is typically worth it. In the end, whether you choose a free website builder or a paid one is dependent on your needs. And bear in mind that the prices in 2015 are very affordable, even for the smallest of businesses, and the boost a professionally branded website will give you is surely worth the cost. For personal projects, and early stage businesses, you can do just about everything with a free website builder, and Wix is a great option. Both Weebly and Wix have very intuitive interfaces and you’ll get to work the WYSIWYS editors in no time – to master these tools you need to spend more and more time getting to know their capabilities, and that’s fun – so don’t waste anymore time. Compare the best website builders and choose one now. 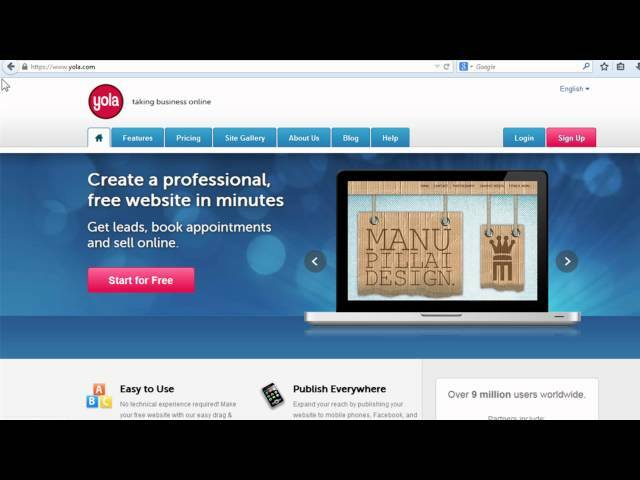 Compare the top website builders features. What Are the Top Website Builders Offering in 2017?